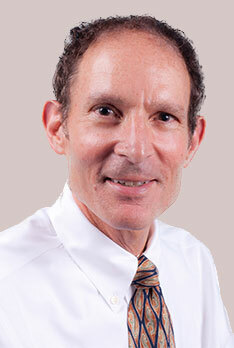 Dr. Kenneth B. Kashkin, M.D. Prior to joining Chromocell as Chief Operating Officer in September 2013, Ken was the Chief Executive Officer and President of the Institute for Research and Innovation at Catholic Health Initiatives. There he directed all R&D initiatives, overseeing three distinct business units: the Center for Clinical Trials, the Center for Healthcare Innovation and the Center for Translational Research. Ken also served as the Vice President of R&D and Intravenous Therapies for Baxter Healthcare Corp., Deerfield, Ill, where he was responsible for R&D global strategy, marketing and portfolio decisions with global P&L accountability for both new products and an existing portfolio of more than 10,000 device and drug products. Other experience includes his time serving as Chief Medical Officer and Senior Vice President of Global Clinical Research & Development at Ferring Pharmaceuticals Inc. in addition to holding the position of Chief Medical Officer and Executive Vice President of Genaissance Pharmaceuticals Inc. (now Cogenics, Inc.). From 1997 to 2000, Ken served as Vice President, Clinical Development of Knoll Pharmaceutical Company. From 1992 to 1997, he served at Abbott Laboratories, initially as Venture Head, Neurosciences and then as Director of Pharmaceutical Ventures. Since 1992, he served as Medical Director of Nova Pharmaceutical Corporation. From 1990 to 1992, Dr. Kashkin served as Associate Director of Central Nervous System Clinical Research of Bayer AG. Dr. Kashkin has led drug development operations in cardiovascular, immunology, endocrinology, oncology and central nervous system research. From 1987 to 1992, he was Faculty of the Yale University School of Medicine. He is Board Certified in Internal Medicine and Neurology/Psychiatry. Dr. Kashkin holds a B.A. in History and an M.D. from the University of California at Los Angeles.